Myra Schneider’s new collection brings a fresh sense of reality to some well-kown images. 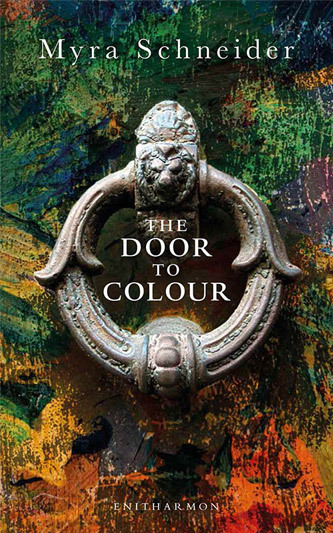 Colour is the keynote of the book, moving through Matisse, Hockney, Chagall: sound too, in Mahler and Beethoven. Often we find skin-deep assumptions turned around: the gold of ancient Crete is not its jewellery but olives: a postbox’s bright exterior conceals menace: a major twentieth-century poet only started painting by chance at the age of twenty; and the long poem Minotaur makes it clear that the Minotaur is not monster, Theseus no hero. a royal marriage of violet and pink. one that’s kind to my uncomfortable body. the size of the top segment of my little finger. to sneak into the house and steal its warmth. of nothing where I wish pain, all pain to vanish.